For almost 60 years we have been known as North Florida’s premier water excursion facility in Panama City Beach; “Where the Fish are always Biting and the Kids are always Smiling"! Capt. Anderson’s Marina is open year round and a must-do on your vacation list – we can help you put the fun stuff into your trip while visiting the world's most beautiful beaches! Located at the East End of the Beach on the GRAND LAGOON, we are just a few minutes from scenic St. Andrews Bay and the bountiful Gulf of Mexico. 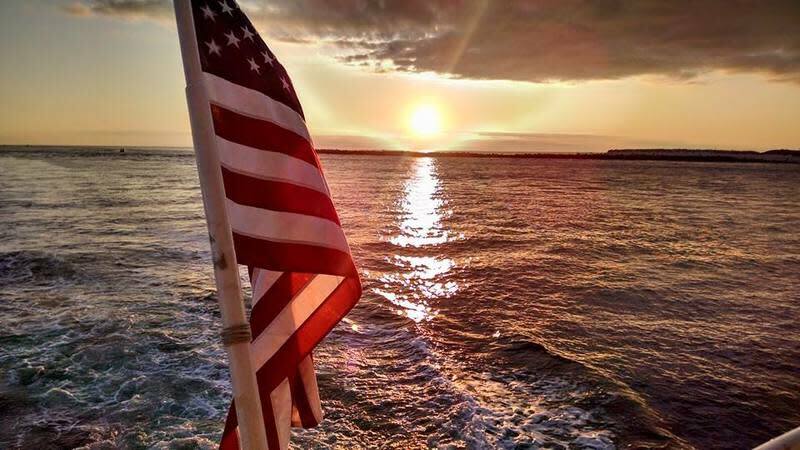 FISHING: We offer many choices of affordable deep sea fishing trips; 5HR, 6HR, 8HR, 10HR & 12HR, on 5 large head boats (party boats) that come equipped with large air conditioned cabins and galleys to serve up hot breakfast and lunch. *NEW* Check out the 8 HR Night Fishing Trips! The marina also boasts the largest selection for your sport fishing adventure with over 25 smaller private charter boats to choose from. DOLPHINS: NEW CRUISE FOR 2015 - We've combined our Seafari Eco-tour with the traditional Shell Island cruise & Dolphin Encounter for the best trip of all! St. Andrews Bay has the most diverse marine life of any bay in North America and on this 3-1/2 hour sightseeing cruise you will watch a trawl net pulled in and have an up close and personal interaction with local sea life. Visitors will observe aquatic bird life, spend an hour exploring Shell Isl;and on this narrated educational trip that always includes the popular Dolphin Encounter! SHELL ISLAND: We have the easiest and least expensive way to get to Shell Island, where you can stay for an hour or the day! Use the large dockside parking lot (FREE) to off-load all your beach equipment right at the shuttle departure area. Then from the private island dock across the short boardwalk - you are deposited on the pristine clean white sands of Shell Island! Let one of our large Express Ferries take your family from the Grand Lagoon through St. Andrew's Bay over to the dock at legendary Spanish Shanty Cove on Shell Island. In addition to all these fun-filled events, Capt. 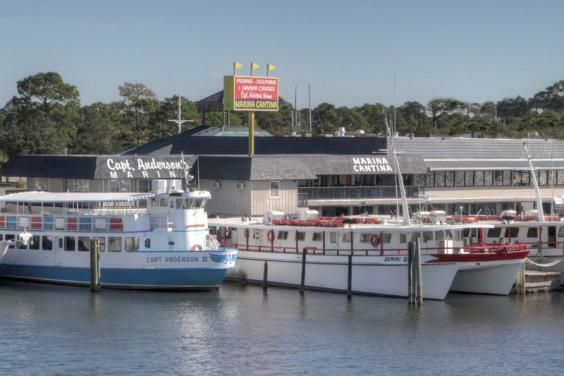 Anderson’s Marina offers snorkel and dive trips, a seafood market (cleaning the fish you catch as well as selling a variety of other seafood), a gift shop and two large dockside restaurants. This is truly a multi-generational and historic place to visit and we love hearing from families that come back year after year! 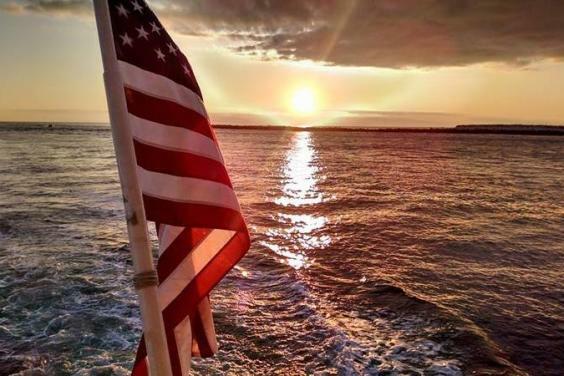 Military and senior discounts and group rates available. 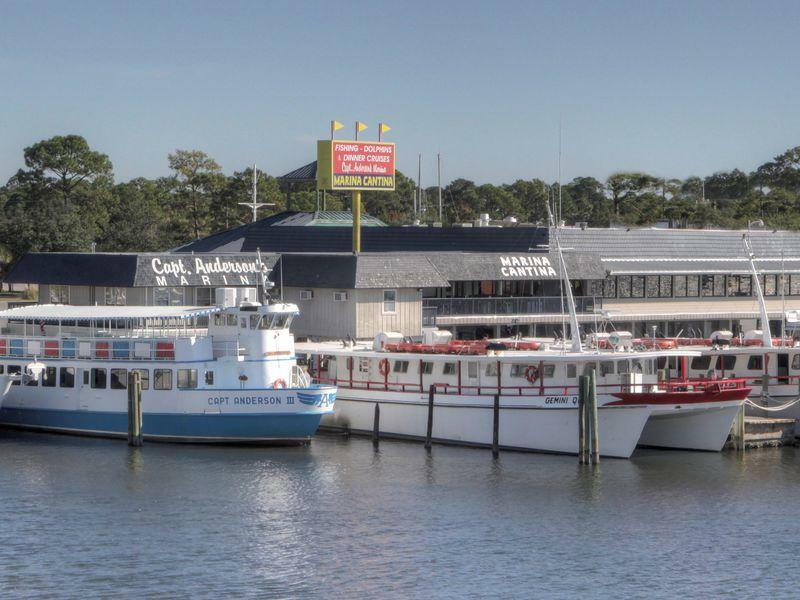 Call for reservations and weekly schedules or book online at www.captandersonsmarina.com.